Found in the 1978 printing of the Scoutmaster’s Handbook. I have the honor to give you the Eagle Scout charge on the occasion of your elevation to the highest award in Scouting. 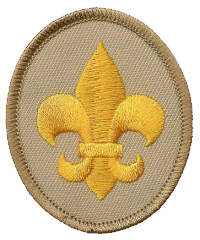 The Scouts of all nations constitute one of the most wholesome and significant movements in the world’s history. You have been judged by the Boy Scouts of America as being worthy of this honor. All who know you rejoice in your achievement. Your position, as you will know, is one of honor and responsibility. You are a marked man. As an Eagle Scout, you have assumed solemn obligation to do your duty to God, to country, to your fellow Scouts, and to mankind in general. This is a great undertaking. 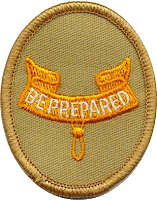 As you live up to your obligations you bring honor to yourself and to your brother Scouts. America has many good things to give you and your children after you; but these good things depend for the most part on the quality of her citizens. Our country has had a great past. You can help make the future even greater. I charge you to undertake your citizenship with a solemn dedication. Be a leader, but lead only toward the best. Lift up every task you do and every office you hold to the high level of service to God and to you fellowman. So live and serve that those who know you will be inspired to finer living. We have too many who use their strength and their brains to exploit others and to gain selfish ends. I charge you to be among those who dedicate their skills and ability to the common good. 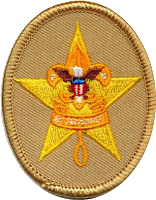 Build America on the solid foundation of clean living, honest work, unselfish citizenship, and reverence for God; and, whatever others may do, you will leave behind you a record of which every other Scout may be justly proud. 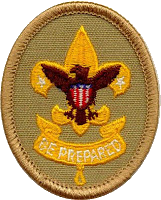 Scout (Name) , you will rededicate yourself by repeating the Scout Oath. Repeat it slowly as you stand before the three lighted candles - each on representing on of the parts of the Oath. Resolve to uphold forever its principles with the same ambition and perseverance that have brought you this far. Your Conduct along the trail has been excellent. 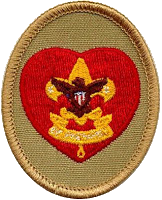 You have rededicated yourself to the principles of Scouting. But on more this is important - your future. 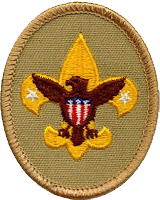 As an Eagle Scout, you become a guide to other Scouts. You become an example in your community. Remember that your actions are now a little more conspicuous and people will expect more of you. 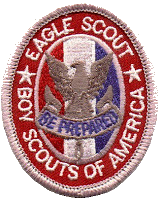 To falter in your responsibility would reflect not only on you, but n your fellow Eagles and all of Scouting. The torch you carry is not only yours, but is also ours.